The Between the Bolter and Me team has nominated me for a Liebster Award blog. This was a very nice surprise for me as I enjoy following the blog as it features some exceptionally good work. Mostly 40K but there are also some other interesting miniatures presented on it. You can check it out here (and I do suggest checking it out). 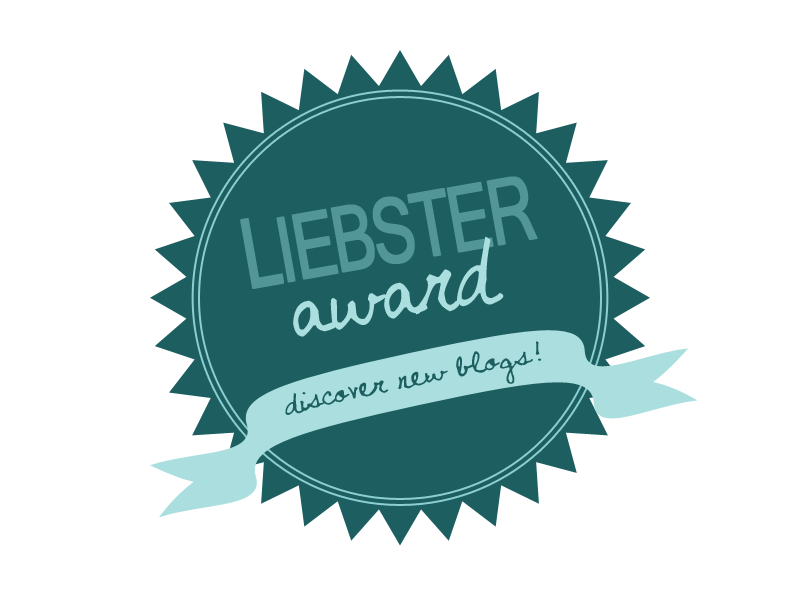 The Liebster Awars is basically a way of showing thumbs up to fellow bloggers and helping each other in getting some more recognition of the web. Each person who is nominated needs to write 11 truths about themselves, answer eleven questions from the person that gave the nomination and think of 11 questions to ask another person. So, here it goes. 1. My recent decrase in activity on the blog is caused by Dark Souls and Dark Souls 2. 2. I work as a teacher at a lower secondary school (also in a private language school as a tutor) and I like it. 3. I 'm a coffee junkie. 4. Warzone (1st ed.) was the first game that got me interested in this fantastic hobby. 5. I've never used an airbrush. 6. My favorite brush is a size 4 kolibri 788 Echt Rotmarder and I always have several of these at my workspace. 7. I have more than 200 paints. 8. My favorite musician is Buckethead and I've probably listened to Colma and Electric Tears more than a 100 times. 9. I enjoy jogging. I've run more than 1000 kilometres, had a knee surgery and still continue jogging. 10. I have a fantastic wife who understands and encourages my hobby. 11. 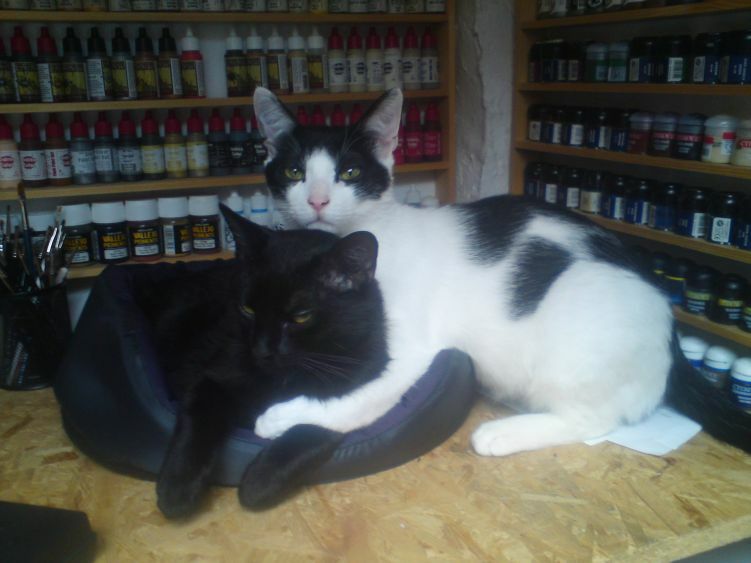 I also have two adorable cats that often keep me company while I'm painting. I'm not that much into WH40K but Ravenor looks more badass. 2. What is your favorite aspect of the miniature hobby? Definitely painting. I'm most at peace then and have enjoyed this aspect of the hobby the most since the beginning. 3. Will dread Cthulhu rise from his sunken city of R’lyeh? Who am I to answer such profound questions about the Great One. If he wants to, he will (and he'll destroy everything in his path). Salvatore Dali. A true genius who created extraordinary art and knew how to party. 5. If you are about to embark on a long drive with nothing to think about, what musical album would you want to listen to? Either Colma or Electric Tears by Buckethead. 6. Have you ever played the cRPG: Planescape: Torment? I played it, got through most of the game but never got to the end. Great atmosphere, memorable characters and locations but too much clicking through the text. I read quickly and it just seemed a bit tedious to me. Still, I totally understand why someone would put this cRPG above others - it is quite unique. 7. Games Workshop’s White Dwarf magazine recently switched formats and is now weekly, thoughts?To be honest, I don't care much about GW these days. I haven't even seen WD in the new format. 8. Is the Alpha Legion the Imperium’s doom or their salvation? Beats me, haven't used them and don't plan to. 10. What boardgame would you most like to play this weekend? 11. Who is your favorite sculptor? The Perry Twins. I have a lot of respect for their skill and have painted dozens of miniatures that they sculpted. Each one was a joy to work with. 2. Antoli's Game Room - if you're looking for reviews of miniatures, board games, interesting movies, good PC games or if you're interested in WW2 history, that your new favorite blog. 3. Coloured Dust - a great painter who shares many of his secrets with the community. I've learnt a lot and improved my skills thanks to that one. I also learnt about some great hobby products that I would have no idea about otherwise. 4. Dave Taylor Miniatures - a veteran hobbyist wide a wide range of interests in tabletop games. His works are always impressive and you can learn a lot about many different producers of tabletop miniatures. 5. Gardens of Hecate - Ana's one of its kind work is spectacular. Dark, atmospheric. Fantastic conversions, impressive brushwork and something that makes the blog even more unique - there's always a description of a thorough research (folklore legends, myths, etc.) the author makes about the works presented there. Before you start digging into the blog's archives, make sure to hit the play button on the left. 6. Kevin's Miniature & Hobby Table - visit it for regular updates with impressive WARMACHINE minis and many others. Check out his blog and try not to be too jealous of his Man-Cave. 7. MASSIVE VOODOO - probably my favorite artists on the blogosphere, I am a proud owner of their Figure Art album and each work their show is a joy to watch. 8. Muffins happy corner - this guy has a unique style that features a very creative use of bright and vivid colors. Definitely worth checking out. 9. Paint it Pink - you may know the author from Wyrd forums and regular articles in Wyrd Chronicles. A great source of knowledge about all things Malifaux! 10. Painting Mum Ana's blog - I think I've developed a love-hate relationship with Ana's works. While the stuff she paints is spectacularly impressive, it can also make you feel jealous. Very jealous. 11. SpirilingCadaver - I totally dig this guy's style. A prolific painter who always manages to surprise me with an interesting approach to painting minis that I though I'd already seen painted in every way possible. 1. Have you ever considered giving up the hobby? 2. What is your favorite miniature? 3. What other hobbies have you got? 4. Do you prefer to work alone or with a group of people? 5. What is the attitude of your friends and family to your hobby? 6. What type of music/audiobooks/radio etc. do you listen to when you paint? 7. What is your greatest hobby ambition? 8. Game of Thrones - who is going to sit on the Iron Throne when all the dust settles? 9. What is your greatest source of inspiration? 11. If you could spend a day with any person out of all of human history, who would it be and why? And that would be it. Putting all of that together took me a while but it was fun. Make sure to check out the blog I've linked above and once again, many thanks to Adam Wier from The Between the Bolter and Me. Thanks for the nomination Viruk, just spotted it today - been pretty swamped with real life recently to tinker with the blog as much as I would have liked.